También conocida como: Forcallat, forcallada & forcalla. The Airén grape is a variety of white wine grape that occupies approxemately a third of the whole surface of the Spanish vineyard. It is important to point out that its the monovarietal grape wich has the biggest volume worldwide. This is due to it being a highly resistant grape that can fight ilnesses and droughts. The Airén grape is cultivated in almost the whole country, but it is mostly found in the region of Castilla- La Mancha. 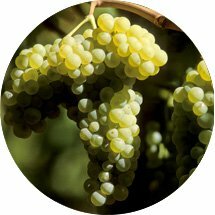 The wines elaborated with Airén grape are characteristic by being dry, having a pale yellow color and a considerably intense fruity taste.